(Gourd Society). Gourds. Their Culture and Craft. Photo available. Mount Gilead. 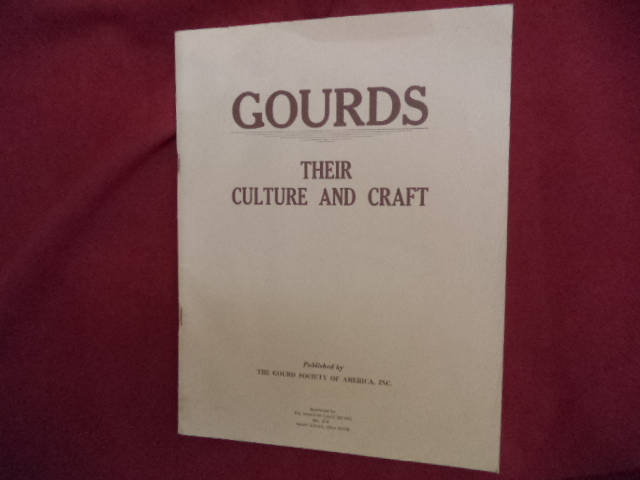 The American Gourd Society. 1990. 52 pps. 4to. Soft cover. Reprint. Illustrated. Important reference work. Fine copy.